Every year there are changes made to the team. 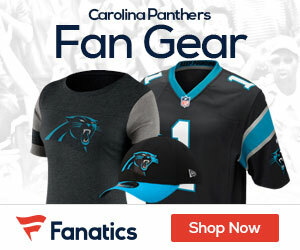 Last year fans felt betrayed by the letting go of the long-time Panther and veteran Steve Smith. This year, DeAngelo Williams. Transitions happen. Change happens. Fans may disagree with some of the decisions, but trust is necessary if you are to back the management of the team and allow them to work through the process. For those players released there may be some built up animosity but most of them seemed to enjoy being part of the team before their number was called to leave. Staff and management have a job to do as well and their job is to improve the team going forward, with the goal of attaining the Lombardy trophy. Keeping the players you build around. Who are they? When asked about the QB’s in this year’s draft class and whether or not Coach Ron Rivera would stick around and watch, his answer was that the Panthers “already had their franchise QB.” Cam Newton is the Panthers franchise QB going forward. The goal is to improve his play and put the necessary players around him to succeed. 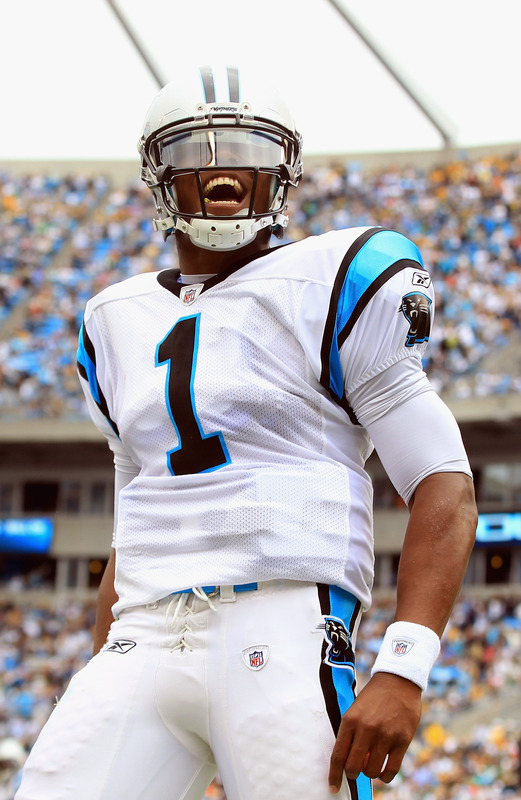 Has Cam taken the steps forward that the Panthers want to see? Let’s take a look: Cam finished with an 82.1 QBR–falling to the 26th position. Quarterback Rating is comprised of four components – QBR (Comp), QBR (PassYards), QBR (TDs) and QBR (INT), which when combined give you the total Quarterback Rating. In comparison, Newton was 16th in 2013, with a QBR of 88.8. Offense is of main concern moving forward in the draft. If Gettlemen can sure up the offensive line and draft a few “Hogmollies” at the Tackle position–this would allow for Cam to continue to develop into the QB the Panthers need him to be. Cam has improved, though the numbers may not show it in his QBR, he continued to find ways to win. Cam loves to win. And he has the abilities and skill to do it–he finds a way. He was second in Rushing for the Panthers, Rushing a total of 103 Attempts for 539 yds. averaging 5.2 yds/att. If this doesn’t make other teams defensive coordinators stay awake at night, then looking at the tape and seeing that he also has the ability to connect with his TE Greg Olsen and new-comer WR Kelvin Benjamin for big yards, both tied for 1,088 this past season, certainly will. And the Panthers are looking to find more weapons for Cam. Panthers will look to sure up the Offense in this years draft. And if they can have the same success in the draft as they did before, as they improved upon the defense, we can expect to see tremendous growth for the Carolina Panthers moving forward.